Nina grew up in Chicago and now lives her days in a small town in Michigan. Her training as a dietitian and her experiences through traveling have combined for a knack of fearless cooking. 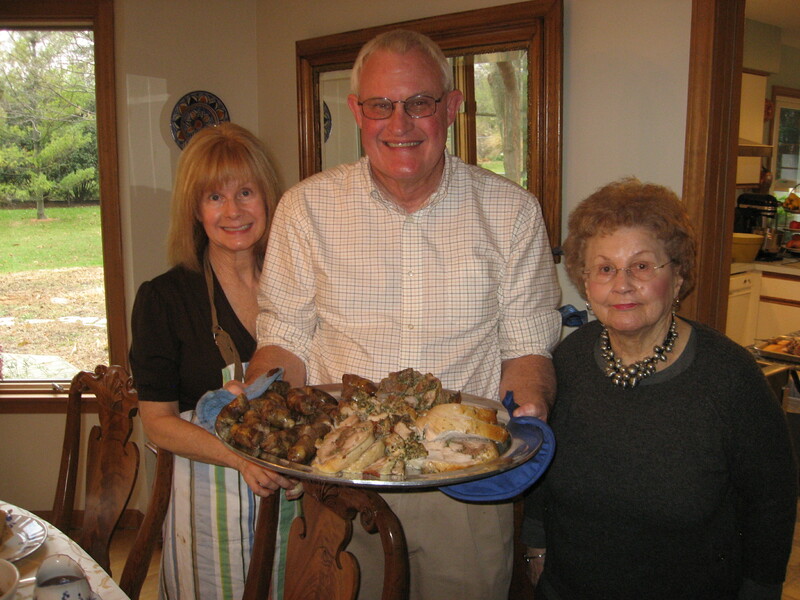 The recipes you find on this site are from the mentioned sources, have been thought up on her own, or are adaptations from her favorites cooks which include her husband David and her mother Sonia, both shown here. this is just about the best cooking website I have ever seen! These recipes are all soooo familar it is almost as though I have been married to Nina for 30 years! She must be in a parallel universe to mine! Hey Nina! You are such an inspirational woman! I can’t wait to read about all your amazing recipes. Hope you are doing well and Happy Holidays! Thank you Jeana! You are a dear! Hello from Japan…..I just got introduced from Stepha who been stayed with us last weekend and I am a japanese woman who have passion about foods! So Steph wish me to check your website so that I am here. Hello me again thanks for nice welcome words! Steff brought something very interesting spice for me from south eara of usa…is kind of mexican spice she said.so….I have not cooked so many those type of cuisine but my daughter loves them …..well..would love to try something soon! Your pics of foods are so interesting for us also clolourful beautiful looks!! Hope we can exchenged our recipe then hope going developed own original recipe!! Nice to know you to get more inspiration thanks! Hi Nina! Rae mentioned your blog last week so I asked her to send me a link so I could sign up. It looks great! Hope you’re well. Thanks Laura! Cooking and posting recipes is a lot of fun!